Is your website's advertising getting in the way of the search engines? | DigitalHipster Inc.
Is your website’s advertising getting in the way of the search engines? Recently I googled “Tire Business” as a test to see how a few major publishers in the tire industry showed up in Google Searches. I did this with a hidden agenda. I know that most online publishers sell advertising on their websites and I also know that many of them don’t take into account the SEO implications. While the meta description is not algorithmically important to the search engines, it plays a critical role in conveying to a searcher what they will find on your website. 2. Using aggregated RSS newsfeeds. To fill content on the homepage, publishers who lack the resources to write lots of stories use syndicated feeds from other news sources such as Associated Press. Some use services such as Twitter Trending to scrape news based on topic. There are two major SEO issues with this practice. 1. News feeds produce duplicate content because there are tens of thousands of other websites using the same feeds and the search engines like to have one authority. 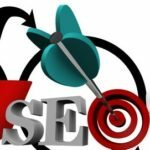 What’s most important for SEO?